To help you make sure you are getting to enjoy a huge open world and take on fun quests with friends, we've set up an affordable ad honest Blade And Soul Gold purchasing program. 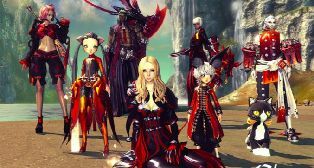 With affordable and fast delivery of our Cheap BNS Gold, we make sure that you can take your time to really buy into the world of Blade and Soul as you should. A deep and engrossing world, this is an MMO that many people fall in love with for all the right reasons. If you are looking to make sure you can get the help that you need in terms of enjoying Blade and Soul, then buying Blade And Soul Gold might be the fastest way to do so. 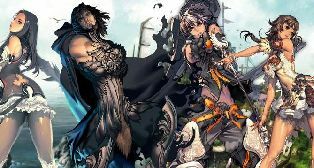 Blade And Soul is a fantastic game for adventure-lovers. There are three currencys in the game: gold, silver and copper (1:100 exchange). Completing daily quests, do professions for valuable items or Using the auction house to earn the difference is the several ways to get BNS Gold, but it's a boring and tedious work. If you do not want to be in trouble, come and buy some BNS Gold on our site. We offer safe and Cheap BNS Gold. After your order, we will deliver the Blade And Soul Gold to you via face to face as soon as possible. Welcome to contact us by clicking the live chat!